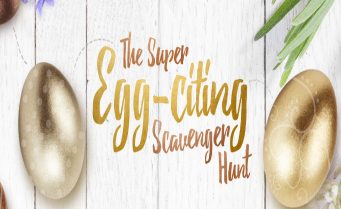 Harry & David Super Egg-citing Scavenger Hunt Sweepstakes – Win a $500 Harry & David gift card! Win a $500 Harry & David gift card! Clues will be posted on the Harry & David Twitter account. You’ll want to search the Harry & David website to find some of the eggs. Here are the 1st 3 egg locations to get you started (remember – only one entry per day). ENTRY LIMIT – Limit: You may enter one (1) time per day during the Promotion Period. ELIGIBILITY – The Super Egg-citing Scavenger Hunt (the “Sweepstakes”) is open only to legal residents of the fifty (50) United States and the District of Columbia who are at least twenty-one (21) years old at the time of entry. SWEEPSTAKES ENTRY PERIOD – The Sweepstakes begins on March 14, 2016 at 12:00 a.m. Pacific Time (“PT”) and ends on April 15, 2016 at 11:59 p.m. PT. PRIZES – THREE (3) GRAND PRIZES: A $500 Harry and David gift card. Terms and conditions of gift cards apply. Approximate Retail Value (ARV) of each prize is $500 USD. Clicked on egg three, but it’s not there. Searched the whole site and still couldn’t find it, only found egg 1 & 2. What am I doing wrong? When will the other eggs be posted? Sandra – the egg is there. I just checked. Once you get to the page, scroll down looking to your left.